A limited number of free tickets for students are still available at the Student Activities Board Office in the Student Union Building. 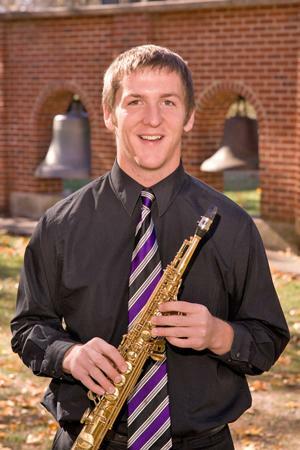 The Fall 2011 semester proved to be quite successful for the Truman Saxophone Studio with several of its musicians winning competitive awards. Truman’s Saxophone Quartet won second place at the Music Teachers National Association Collegiate chamber music competition at Missouri Western University on Nov. 3. 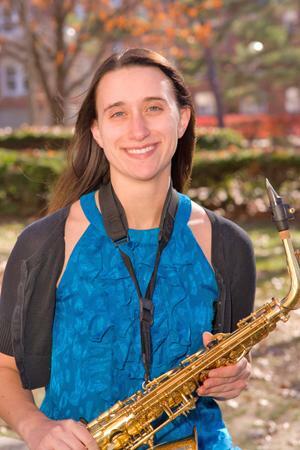 The Quartet is comprised of Joel Fischer, soprano saxophone; Tom Bunting, alto saxophone; Olivia Wikle, tenor saxophone; and Shelley Washington, baritone saxophone. 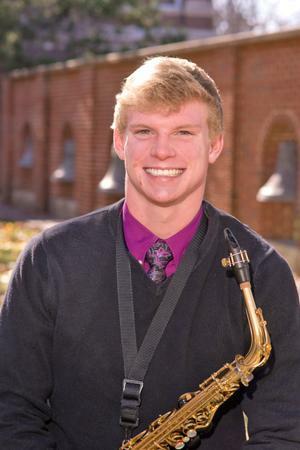 Joel Fischer was named the “State Winner" in the upper division and Joel Gordon the “State Winner” in the lower division of the Collegiate Woodwind Competition. Stephanie Koltookian was one of three gold medal concerto competition winners and will perform Henri Tomasi’s “Concerto for Saxophone and Orchestra” with the Truman Orchestra on March 24. She was recently accepted into four law schools, including the University of Missouri—Columbia and the University of Iowa. The Saxophone Studio also presented Chloe Bertschi, Alex Buffa, Stephanie Koltookian and Steven Irving in senior recitals. The Saxophone Quartet won second place at the Music Teachers National Association Collegiate Chamber Music Competition at Missouri Western University on Nov. 3. 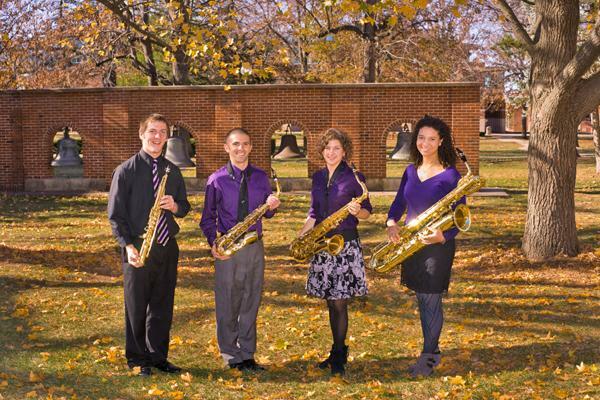 Pictured, left to right: Joel Fischer, soprano saxophone; Tom Bunting, alto saxophone; Olivia Wikle, tenor saxophone; and Shelley Washington, baritone saxophone. Competition at Missouri Western University on Nov. 4.
with the Truman State University Orchestra on March 24. Randy Smith, professor of music, (center) with saxophone students at fall senior recitals. Pictured, left to right: Chloe Bertschi, Steven Irving, Smith, Stephanie Koltookian and Alex Buffa. Truman alumni Dominic Armstrong, tenor, and Rachel AuBuchon, pianist, along with special guest Susanna Phillips, soprano, will be performing a recital at 3 p.m. Feb. 5 in the Ophelia Parrish Performance Hall to benefit the Truman Opera Theatre. Since being selected as a Grand Finalist in the 2008 Metropolitan Opera National Council Auditions, Armstrong has maintained a busy performing schedule, appearing across the U.S. and Europe. AuBuchon is currently on faculty at Stephens College in Columbia, Mo. This is not the first time either Armstrong or AuBuchon have returned to Truman to perform. They collaborated with each other as students and they continue to enjoy working together, especially to support the Truman Opera Theatre. The Theatre is a self-supporting academic enterprise that stages an annual opera production. This year, they will be doing four performances of Henry Purcell’s opera, “Dido and Aeneas.” Beyond ticket sales, further fundraisers help the Theatre with production costs. Joining the Truman alumni is Alabama-native Susanna Phillips. She is the recipient of the Metropolitan Opera’s 2010 Beverly Sills Artist Award, and recently sang in the opening concert and Live from Lincoln Center broadcast of the Mostly Mozart Festival. Phillips began the 2011-12 season as the title character in a Lyric Opera of Chicago production and will soon make her European debut as well. Donations to benefit the Truman Opera Theatre will be accepted at the door. 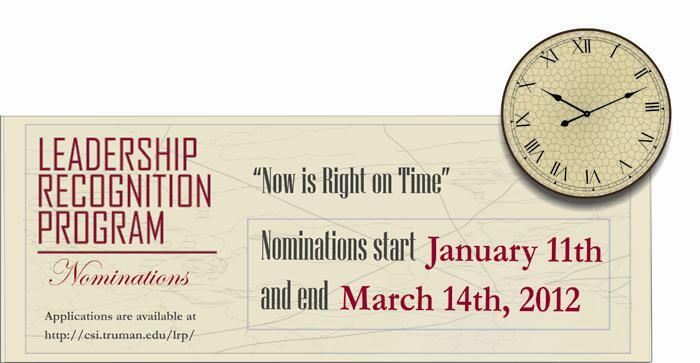 The Center for Student Involvement (CSI) is now accepting nominations for the 2012 Leadership Recognition Program (LRP). For this program to be successful, the CSI is seeking the support of students, faculty and staff in the nomination process. The packet to nominate an exceptional student leader, adviser, organization or event can be obtained online at csi.truman.edu/lrp/. Nominations are taking place now through March 14. For more information on this event, contact the CSI by phone at 785.4222 or by email at csilrp@gmail.com. Truman will conduct the 25th annual Student Research Conference on April 17. The Conference is a University-wide celebration of student research, scholarship and creative achievements. Both undergraduate and graduate students are invited to submit abstracts. Abstracts can be submitted online at src.truman.edu. All abstracts need to be sponsored by a Truman faculty or staff member. A copy of the information submitted will be sent electronically to the student presenter’s mentor for approval and students should work with the faculty mentor before submitting the abstract. The submission site is now open. The deadline for submissions is at 11:59 p.m. Feb. 17. In addition to the many student presentations, the day will feature a conference-wide plenary address delivered by David Micklos, executive director of the DNA Learning Center at Cold Spring Harbor Laboratory in New York. Micklos specializes in eugenics as well as educating teachers and the public about DNA technology. Faculty-requested special sessions are included in the discipline options. Anyone planning to present in such a session should look for the specific discipline designation when submitting their abstract (ex: History Senior Seminar, Democracy and Human Rights in South Africa, Kirksville Sigma Xi, Secondary English MAE Intern Research). Any inquiries about the Student Research Conference sessions, guidelines or programs should be addressed to Maria Nagan at osr@truman.edu. Any questions or problems with the abstract submission process can be directed to Marsha Redmon at 785.4598. Mark Appold, associate professor of philosophy and religion, will moderate a panel of student participants from a Summer 2011 Truman Middle East Study Abroad Course that visited Egypt, Jordan, Israel, Jerusalem and the West Bank. The presentations will discuss the Balfour document, the Oslo Accords, United Nations resolutions, Gaza, water rights, Biblical Israel and modern Israel. Dereck Daschke, chair of the Department of Philosophy and Religion, will talk about the reasons for contentious debate on the status of Jerusalem. The event will take place at 7 p.m. Jan. 26 in Magruder Hall 2001. President Paino will discuss the state of the University. A webcast of the meeting will be made available on the President’s Office website for those unable to attend. Career and Graduate School Expo will take place from 12-4 p.m. on Feb. 8 in the Student Union Building. Please submit your resume by Feb. 1 to get first-priority interviews with companies at truman.experience.com. SCORE (Service Corps of Retired Executives) mock interviews will take place on Feb. 3. Please sign up and submit your resume to the Career Center by Feb. 1. For more information regarding Career Week and other upcoming programs, please visit career.truman.edu or stop by the Career Center in the Student Union Building 3100. Applications are now available for summer internships through The Washington Center. The Washington Center, a non-profit organization, places qualified students in organizations in the D.C. area, providing real-world experience and networking opportunities. Any interested student is encouraged to apply and all majors are welcome. The on-campus deadline for applications is Jan. 25. To apply, and for more information, visit twp.truman.edu/washcenter.asp. Contact selfjw@truman.edu with additional questions. The deadline to apply for the Undergraduate Scholarship Program is Jan. 31. The German Academic Exchange Service (DAAD) invites highly qualified undergraduate students to apply for funding to study, complete research and/or internships in Germany. Scholarships are available for students taking part in an organized study abroad program/exchange or as part of an individual, student-designed study abroad experience. Funding for a semester or the academic year is offered for 2012-2013 (beginning in the fall of 2012) and includes a monthly stipend, health insurance and an amount for travel. Students wanting to study in Germany in the spring of 2013 should apply now. More information can be found at www.daad.org/?p=undergrad. Truman is once again selling T-shirts to help raise funds for the annual breast cancer awareness basketball doubleheader. The event will take place Feb. 18 as part of the afternoon doubleheader against Missouri Western, and all proceeds will go towards the Adair County Relay for Life cancer fund and the Kay Yow/JimmyV national foundation. Orders are needed by Jan. 24 to arrive by game day. 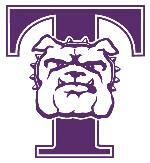 Order forms are available at trumantoday.truman.edu/pdf/12T-ShirtOrderForm.pdf. Applications are available online at telecounseling.truman.edu, by emailing your request to Kara Humphrey at karah@truman.edu or by picking up a paper copy at the front desk in the Office of Admission (Ruth W. Towne Museum & Visitors Center on the corner of Franklin St. and Normal Ave.). This is a required class to drive Truman State University fleet full-size vans. Student drivers must also complete the Waiver of Vehicle Usage Policy, available online at police.truman.edu. Participants must sign up to attend and should allow two to three hours for the class. Class size is limited. 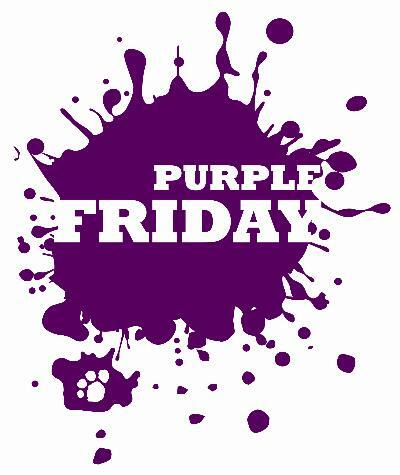 Call 785.4177 or email joycecook@truman.edu. The Truman ROTC department is hosting a “Call of Duty: Modern Warfare 3” tournament at 9 a.m. Jan. 28 in Baldwin Hall 156. There will also be “Guitar Hero” and “Halo” available. The cost for this tournament will be $20 for a four-person team. Sign up in the Student Union Building Hub on Fridays from 11 a.m.-4 p.m. or in Baldwin Hall 130 at any time. Pre-order forms for T-shirts will be available at Fireside Fridays on Jan. 27 and Feb. 3, as well as at tables in the Student Union Building Jan. 30-Feb. 3 and Feb. 7. T-shirts will be $5. FACT coordinates all the late-night activities during Truman Week. The library’s web page now displays the covers of all new materials added to the library. Three covers randomly appear each time the web page is accessed. More items can be viewed that have been added within the past four weeks by using the “browse all covers” link. Clicking on a cover image will display the item’s format and the availability. Business faculty members Datha Damron-Martinez, Adrien Presley and Lin Zhang had their manuscript, entitled “A Study of Undergraduate Student Intent to Minor in Business: A Test of the Theory of Planned Behavior,” accepted for publication in the Journal of Education for Business. Jason Lin, chair and professor of business administration, and Wilson Zhang, a May 2011 Truman graduate, have had their manuscript, entitled “A Study on Microfinance in China: Trends, Impacts, Challenges and Opportunities,” accepted for publication in the Journal of Finance Issues. The International Club will be selling bubble tea and other sweets from 1-5 p.m. Jan. 27 in Violette Hall. The deadline for submission of TruScholars Program applications is 11:59 p.m. Jan. 29. The purpose of the TruScholars program is to foster collaborative faculty-student research and creative activities to enhance undergraduate student learning. Projects supported by this program should exhibit the potential for scholarly publication, presentation at a regional or national conference, public performance or a gallery showing. The Office of Student Research will fund up to 25 TruScholar applications. Application guidelines, important dates and frequently asked questions can be found at the OSR website at osr.truman.edu/truscholars. Questions beyond the TruScholars frequently asked questions should be addressed via email to osr@truman.edu. The American Association of University Professors (AAUP) will conduct its monthly meeting at 12 p.m. Feb. 2 in the Student Union Building Room 3201. Contact Marc Becker at marc@truman.edu or call 785.6036 for more information. American Red Cross blood drives will take place from 10:30 a.m.-5:30 p.m. Feb. 7-8 at the Baptist Student Union and the Catholic Newman Center.